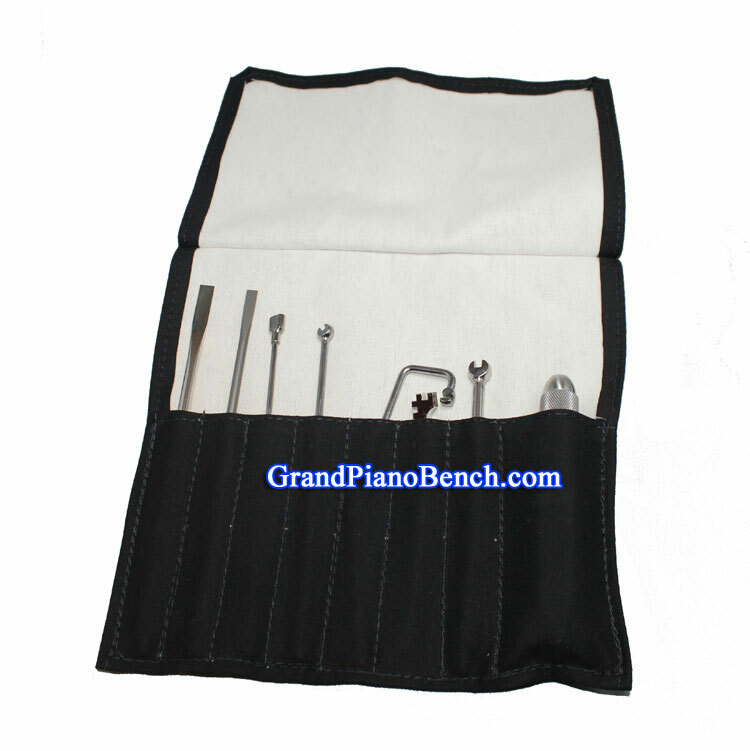 This Piano Regulating Tool Kit contains exactly what you need to regulate the action of a piano. Highest quality tools in the market, all are manufactured in the United States. An 8 piece kit with a handy canvas carrying and storage case. A space and weight saving, multi-purpose handle that fits the entire set of regulating tools. Tools are secured and released by slight turn of compressing nut. Octagon plastic handle, overall tool length is 5". 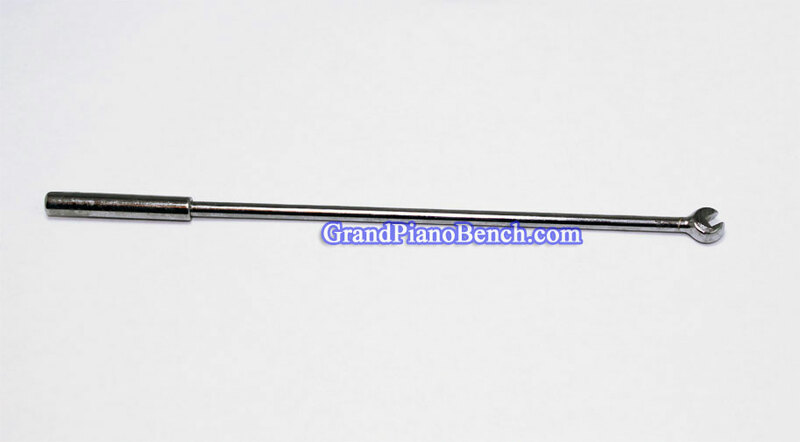 For ease in adjusting the spoon, the angle of this tool facilitates getting under and around the whippens without removing the piano action. Being 6" long and chrome plated, this spoon bender can be used on direct blow type actions. The offset in this tool makes it easy to reach past the front row of key pins when twisting or bending pins under the sharp keys. 6" long, chrome plated. Used to bend either back check or bridle wire in any direction; shaped so it can be used without taking out the nameboard. Tool is 5" long and nickel plated. 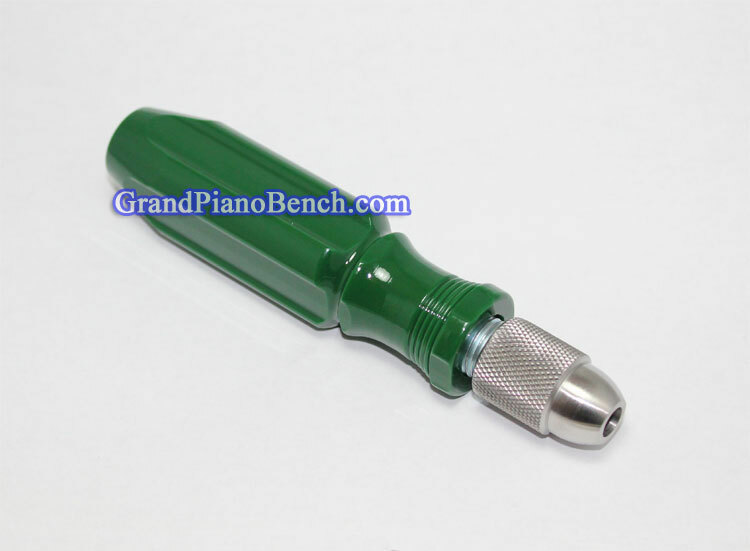 Used by inserting between the hammer shanks several notes away from the one to be adjusted. Wire can be bent forward, backward, or to the side, as required. Chrome plated. Offset angle, 7" long. Chrome plated tool has 5/16" wide opening for turning large regulating screws. 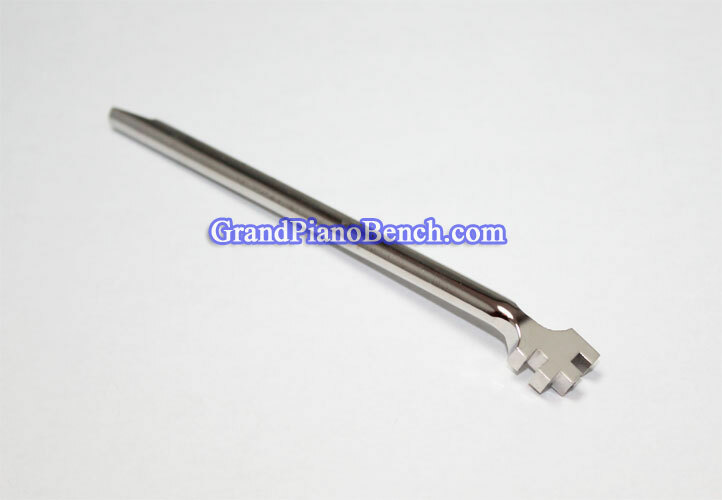 1/8" diameter shank allows for easy access into piano action. 7" long. This chrome plated screwdriver has 3/16" diameter shank and 1/4" wide blade. Shipping for piano accessories is $5.95 to the continental United States (Alaska, Hawaii and Canada, please email for a shipping quote). Select the shipping option at the checkout menu of the shopping cart.